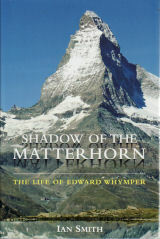 Richly illustrated with Whymper's engravings and previously unpublished photographs, this biography - the first for 70 years - uses new material from the archives around the world, and from Whymper's family, to give a fuller picture of this artisan from London, who had such an impact on the story of mountaineering. A new assessment of Whymper's achievements comes with previously unknown details about his remarkable family, and his short-lived marriage. Whymper's diaries and notebooks are used here for the first time to show his dry, self-deprecating sense of humour and his unusual perceptiveness about the Greenlanders and the people he met in Ecuador.